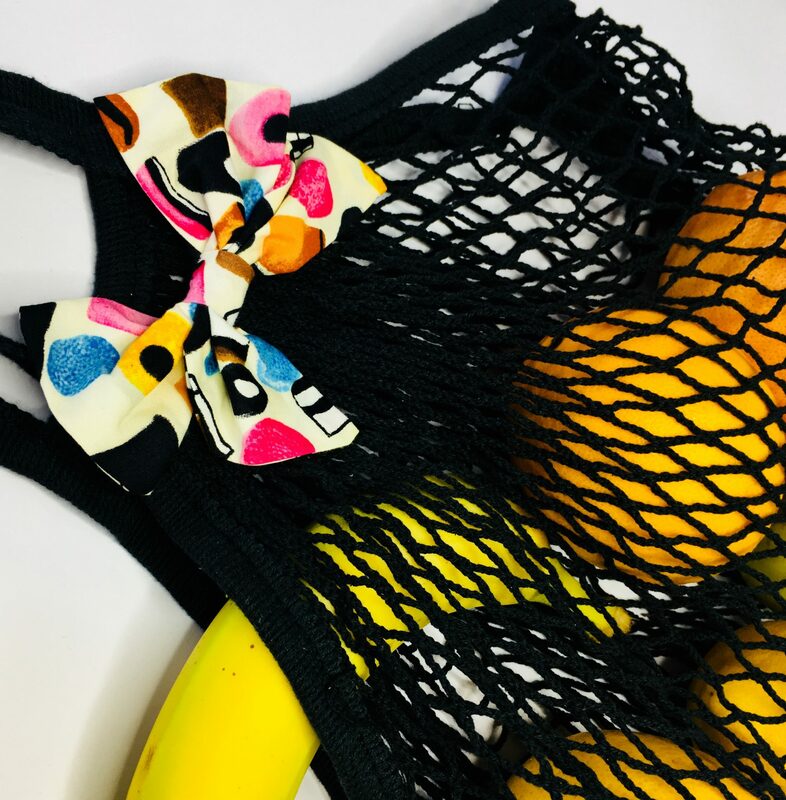 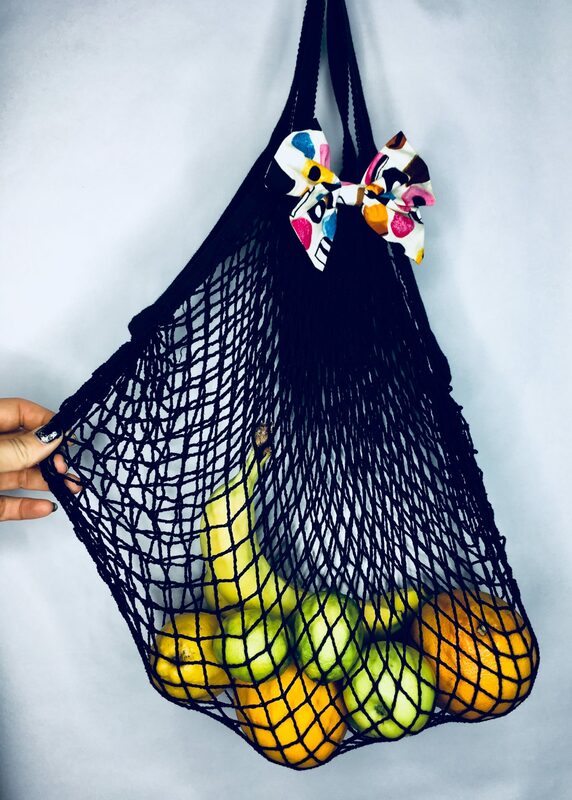 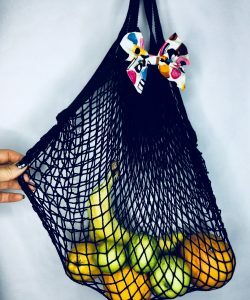 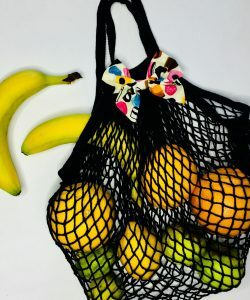 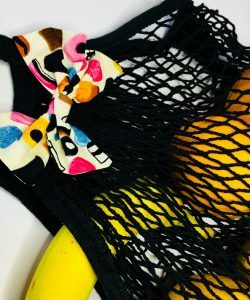 String bag, ideal for shopping and groceries, with fun cotton bow attached. 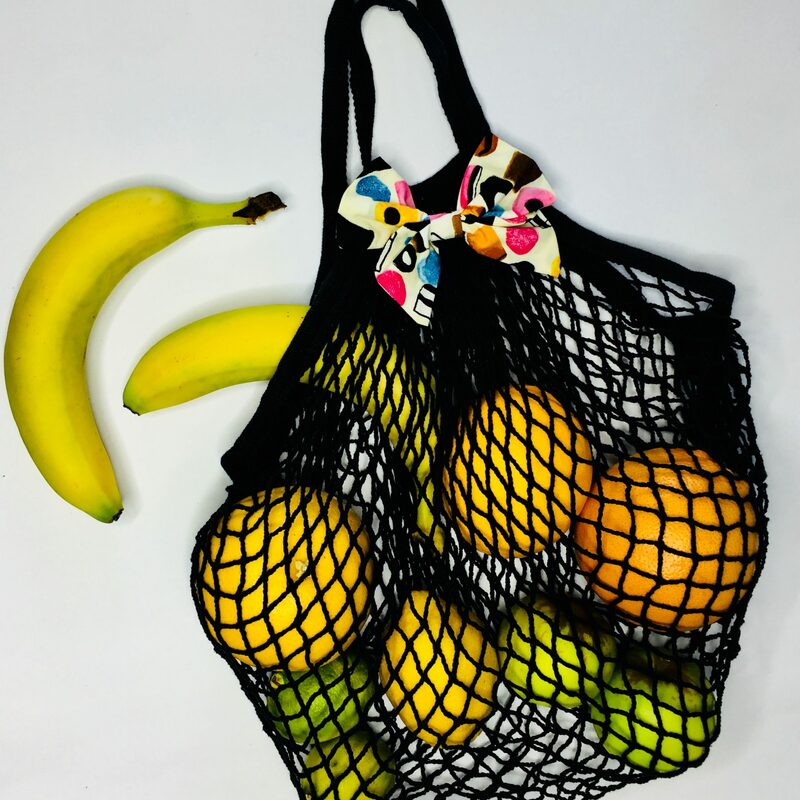 Large bag with plenty of room. 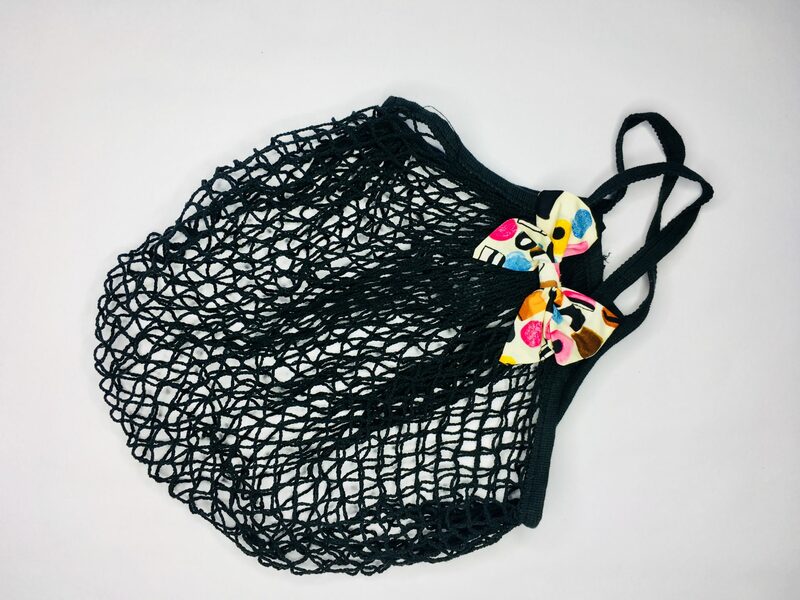 Cotton, so can easily be washed. 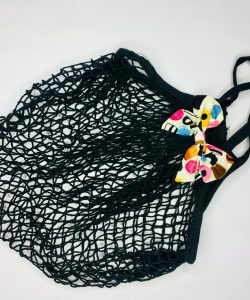 Handmade bow is sewn onto each bag.